The 2019 Winter 4x4 Jamboree will be held on January 17th, 18th, and 19th, 2019. The Event Venue is held at the Washington County Fairgrounds, in Hurricane, UT. The Fairgrounds are located about 2 hours north of Las Vegas, NV and about 4.5 hours south of Salt Lake City, UT, just off of I-15. All trails are located within a 1 hour drive from the fairgrounds. The majority of the trails are within the Sand Mountain Special Recreation Management Area, located just to the south of the Sand Hollow State Park, and within 5 miles of the fairgrounds. 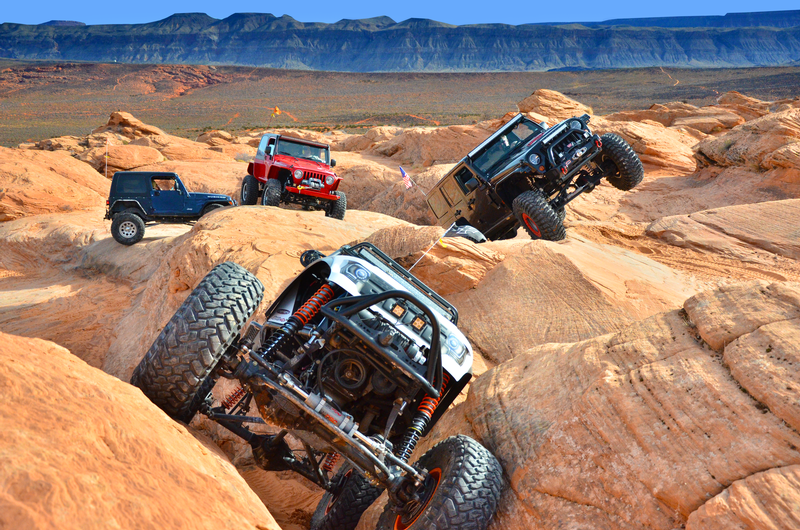 All trails are day trips and will be returning to the complex each day for the vendor show and activities.This spectacular event features world-class rock crawling combined with gorgeous views of Zion National Park, Pine Valley Mountain and more! The Winter 4x4 Jamboree is organized and run by the very dedicated volunteers from the non-profit (501 (c)(3)) Desert Roads and Trails Society (Desert RATS). Last year, thanks to all of our attendees, we were able to donate $41,000 to the Utah Public Lands Alliance, Utah 4 Wheel Drive Association, Washington County Search and Rescue, and Share Trails/Blue Ribbon Coalition. These organizations work tirelessly for you to keep our trails open and available to our sport. Winter 4x4 Jamboree Committee has tried to take every possible precaution to assist you in having a safe and enjoyable adventure while you are here. Because of the nature of this particular sport, it must be understood by every participant that there are inherent dangers during off-road recreation. The Winter 4x4 Jamboree, its Sponsors, its Supporters and its Public Land Management Agencies cannot be responsible or liable for any personal or property damage which occurs from any accidents or mishaps during this event. By registering for the Winter 4x4 Jamboree, each participant has personal responsibility for their own safetly and well-being, and that of others in his/hers care. Partcipants are required to stay with their groups and follow designated trails lead by their guides. This will provide for safety and comfort of all participants. Experienced Guides will assist the groups by determining and maintaining a safe and comfortable speed, and will determine the routes to be followed. All Participants must first register on the web site and provide information about their vehicle’s modifications to ensure they will be capable of reasonably running the trails they wish to sign up for. After registering on the website, they can go to event registration (after November 12) and sign up for trails. Notice: During the three days of the event, Sand Mountain Recreation Area (SMRA) trails used by the Winter 4x4 Jamboree will be CLOSED to non-participants during the hours of 8:00am to 4:00pm. The sand dunes and access roads will remain open to the public. To see the list of trails used by the Winter 4x4 Jamboree can be found here. FLAGS ARE REQUIRED FOR ALL SAND MOUNTAIN TRAILS! Trail Flags and other merchandise can be purchased at our store here. NO ALCOHOL WILL BE ALLOWED ON THE TRAILS OR AT THE FAIRGROUNDS! You will be asked to leave and the local authorities will be notified if you are not complying with our rules. Thursday Vendor Show - All 3 days of the event, the vendor show will be open to the public from 3:00pm to 8:00pm. 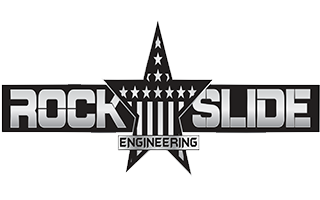 New for 2019, we will have a RC Rock Crawl Competition and a Kid's RC Play Course, Sponsored by Sky RC and will be set up at the fairgrounds. Everyone that enters the RC Rock Crawl Competition will be using identical RC vehicles to compete on the timed course. First place will WIN a brand new RC Rock Crawler, Second & Third places will win a prize as well. For full details, just come to the Fairgrounds on Thursday Night and join the fun! Friday Night Vendor Fiesta - A vendor show held from 3 to 9 pm that will feature a no-host food court, live music, and vendor displays. Also, registered participants will be given a "bingo style" card to be validated by each vendor, then placed in a drawing for prizes to be held at 8 pm. Saturday Night Raffle - From 8:30 to 9:30 with many items to be raffled off and a few to be auctioned. All proceeds will be donated to land use with the intent of keeping trails open.